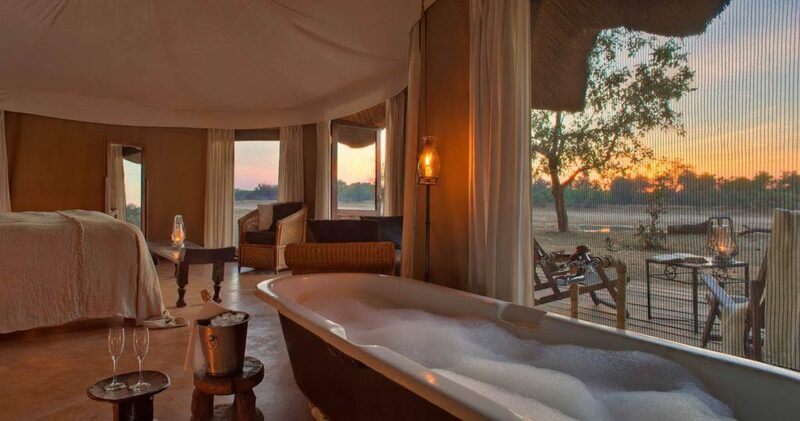 Mchenja Bush Camp is a seasonal camp on the banks of the Luangwa River.The Camp lies hidden in a shady grove of age-old ebony trees on the bank of the Luangwa River. It is a picturesque site with expansive views of the river. The camp has five comfortable thatched huts with en suite facilities. A grass hide close to camp overlooks a deep lagoon providing secretive and close-up views of a variety of animals. Mchenja Bush Camp’s five wooden chalets feature en suite open-air facilities. Each chalet has been built on a raised platform under thatch and nestles under a grove of ancient ebony trees. The main chitenge is under thatch, and houses the bar and lounge area, although most meals are enjoyed under the canopy of the magnificent trees. 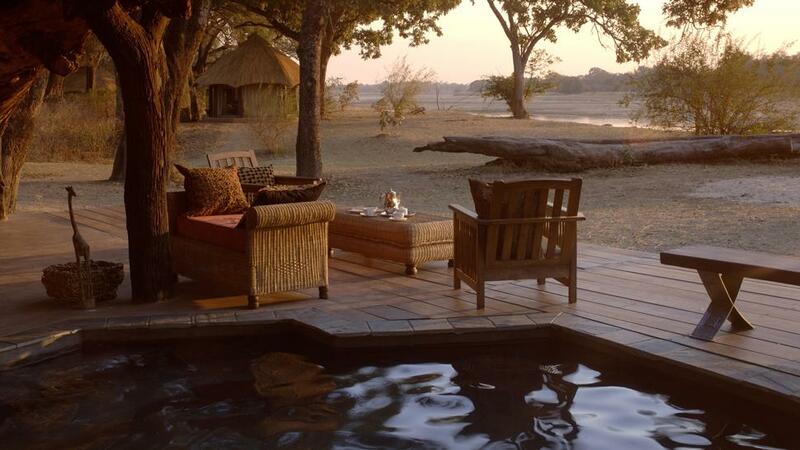 Mchenja Bushcamp is Norman Carr Safaris’ flagship and most luxurious bushcamp. 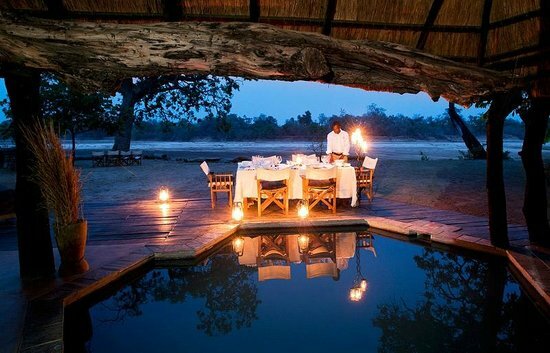 It’s a beautiful camp in a lovely setting within an ebony grove, beside a bend of the Luangwa River. We loved Mchenja Bushcamp when we recently visited in June 2010! The whole camp, including all the rooms, has lovely wide views of the river, and is cool and shaded under the grove of tall ebonies and sausage trees around it. The main lounge-and-bar area is cleverly designed and quite unusual; it incorporates a tree that looks as if it’s falling into the dining area. The lounge has comfortable chairs and sofas as well as a small library. The bar is well stocked with soft drinks, spirits, beer and wine; we were told to help ourselves when we wanted to! The deck of the sitting area extends outside the thatch, with a recliner, a couple of comfortable chairs and a sofa to relax upon. On the deck, under the thatch, there’s a small shaded plunge pool. This is deep enough to completely submerge in, but not large enough to swim in.